This assembly had to snap sooner or later didn’t it? Look at the picture above. The leverage is straining the seat tray way to much. And it snapped all right. 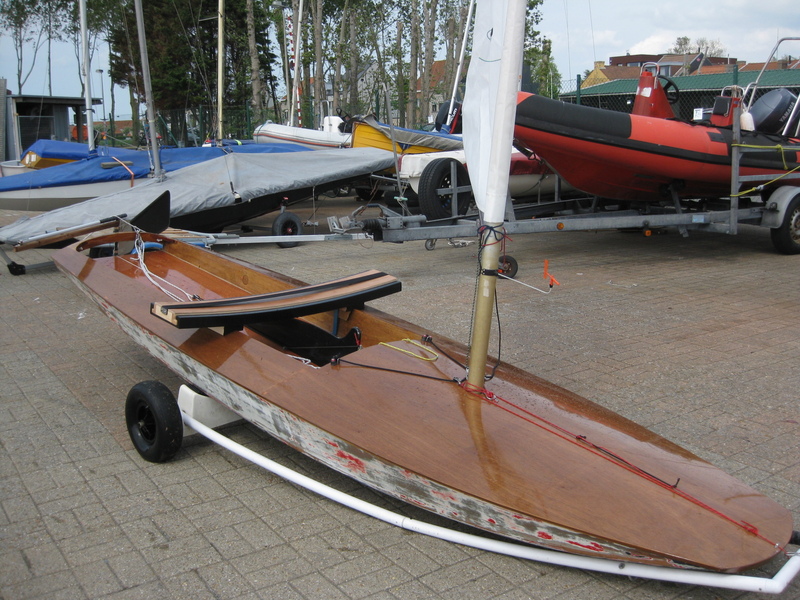 I gave the Meson for a spin into the hands of a young Europe Moth racing sailor and she sailed it back home with a broken seat ten minutes after she left. Just in case, the Meson I talk about here below. Genuine dinghy racers roll tack the boat and throw themselves to the windward side of the boat, hooking into the hiking straps (I don’t). With no hiking straps and only the seat to rely on my dear young friend threw her on the extended seat that then gave way. I guess she sailed all right and I made a faulty seat. As I will need the item for the Minisail gathering 2018 at S.C. Bowmoor it’s now repaired. Probably to be modified to fit the Sprite later on. For the Meson a better and even more simple plank will have to be made. Would an inverted sliding seat be any good? It might not be, then again it looks all right, anything inverted does. I might make one. Ah well, could be worse. 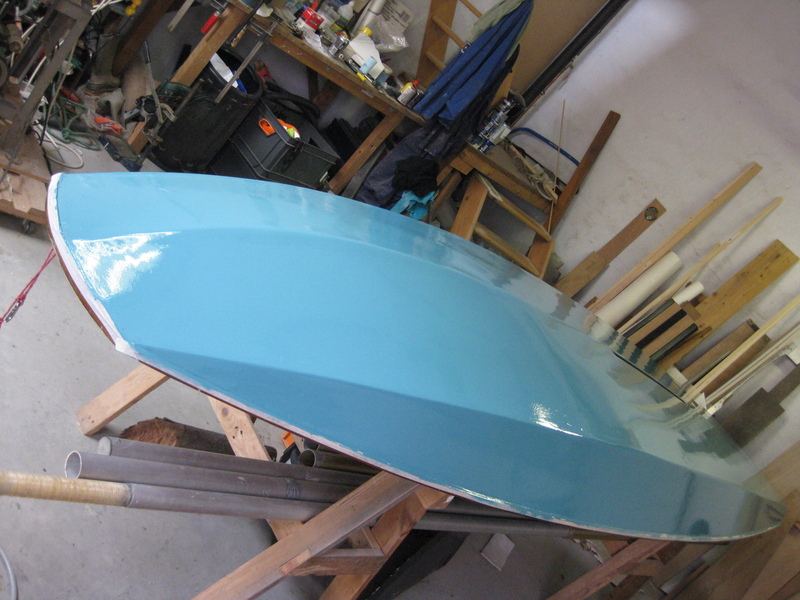 Beside the painting, the gunwale and transom seams were sealed. 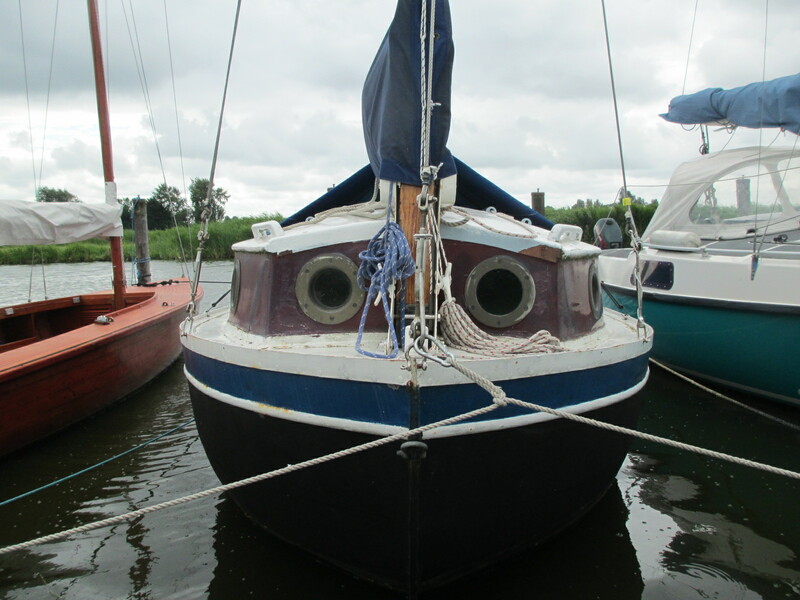 The centerboard case needs to be checked for leaks. Then she’ll be as good as new … once more. 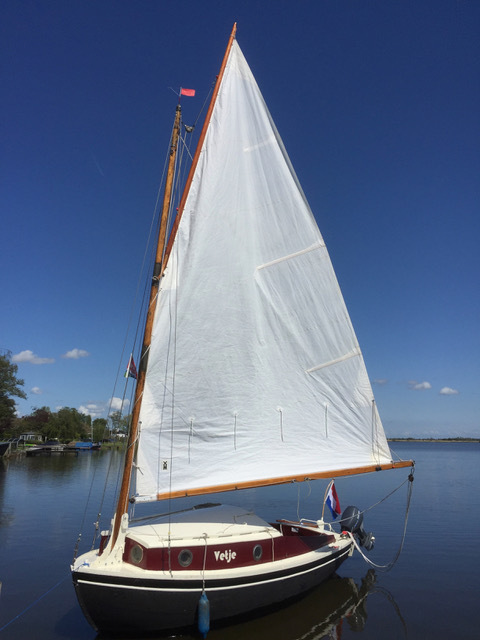 Some weeks ago two lovely sisters, good sailors and friends of mine, found the forestay chain plate of their old 470 finding it’s way through the deck and asked me if I could take care of it. Having told them I probably could, but cosmetic surgery aftercare would be for them, they agreed. 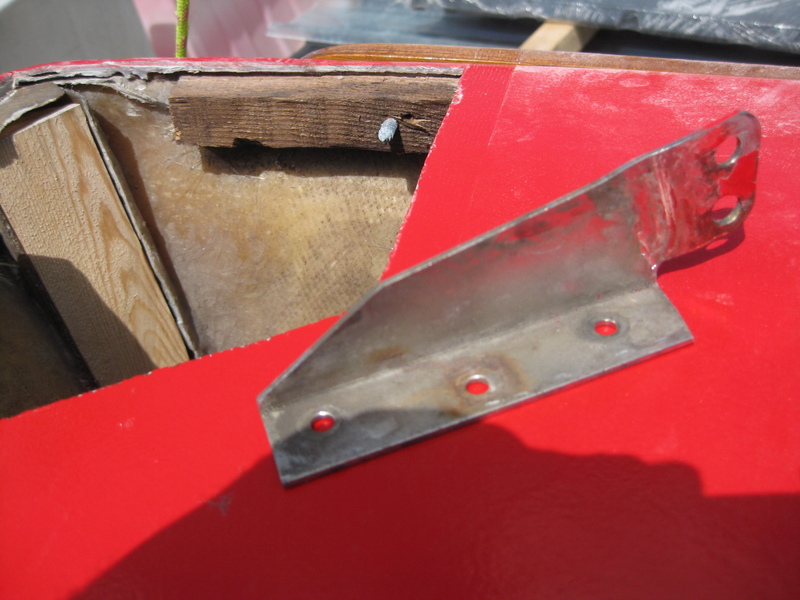 Browsing the interweb I found a documented report of a similar repair on the French website forumvoile.com. With a good insight of the specific construction I went over to have a second look at the patient and it was obvious I wouldn’t be the first one to get that nose done. The deck had been lifted before and was sealed shut. No way I would lift it from the hull with a few gentle ticks from the hammer. Out with the (fantastic) oscillating tool and off went a good part of the front deck. Found the original GRP square profile gone and the repair GRP-wood combination end-of-life since the (second?) wooden back-up material had dissolved. I cut away most, if not all repair-GRP. 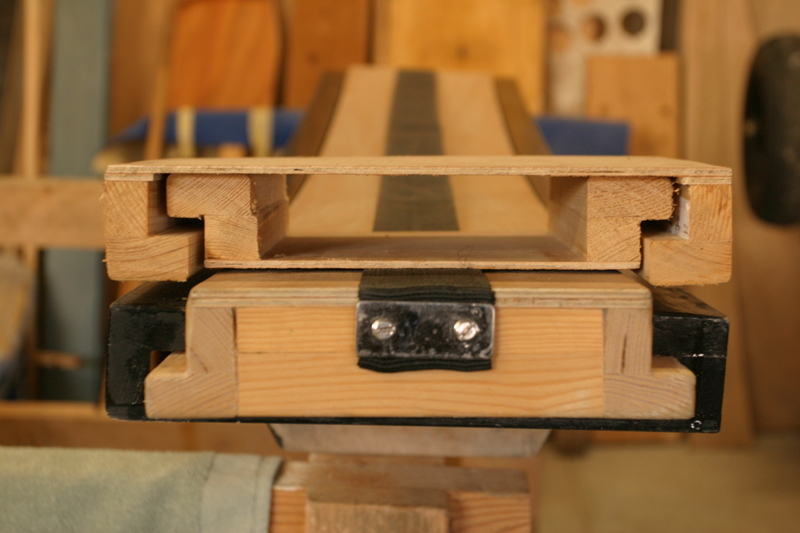 With some pitch pine wooden stock I made a wedge profile and fitted it snugly in the corner, wel soacked in epoxy and three layers of 280 g/m² over it, re-creating the original GRP profile… Sort of. That needed curing so hang on, I’ll finish this nose next week.